Pray for the 45th - BFL 182 - BLIND FAITH LIVE! Real People. Real Miracles.BLIND FAITH LIVE ! Real People. Real Miracles. 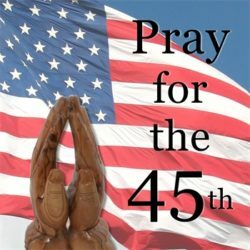 With this such a divisive time, prayers certainly are in order for the incoming 45th President. During the eight years of the exiting administration, God took quite a hit. Unfortunately, there are fewer people praying now than there were eight years ago. According to a recent Pew research study, those identifying themselves as Christians has dropped from 78% to 71%. Atheists, agnostics, and those wishing no affiliation with God has jumped from 16% to almost 25% in the last eight years. Dr. Issam Nemeh sees this massive friction that is consuming our nation, as a cleansing. Those in opposition to God are being exposed. It is getting easier to see the good versus evil playing out in our country. Hamilton the Musical is the music we follow in this episode. Is it any more divisive in our nation now, than it was when our country was being formed? Our founders fought over everything. But, the big difference was their understanding that God was the cornerstone of America. 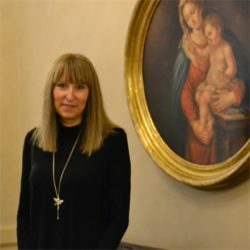 The Vatican is aware of the miracle stories surrounding Dr. Issam Nemeh. They sent a priest to investigate. The outcome was stunning. Here is the most compelling story of the podcast. We admittedly are burying the lead. The boys in Darlene Burgess’ life pave the way for Darlene to receive healings of fibromyalgia, rheumatoid arthritis, fatigue, and a frozen shoulder. This miracle moment is remarkable in its simplicity and power. This entry was posted in Dr. Issam Nemeh, Episodes, Philip Keller, Trapper Jack and tagged Arthritis, Fibromyalgia, Following Holy Spirit, God the Father, Shoulder, State of Mind by Philip Keller. Bookmark the permalink. I find it amazing how calm Dr Nemeh is while he speaks of the political issues. There is no better explanation of what is expected, with the division of faith and the nation, you must hear what Dr Nemeh has to say. With all the backlash of cyber bullying, by adults how sad (politicians to say the least,) wouldn’t it be great if Dr Nemeh would Tweet a few Angelic responses? Wonder what the reaction would be to the unquestionable facts that are reality now? Philip do you suppose you could talk Dr. Nemeh into Tweeting? His reputation would get things going for sure. How powerful your interview was with Dr Nemeh. Enjoyed hearing it many times. Each time I learned so much. So comforting to hear, we won’t be taken by surprise. This perfect love he speaks of is just wonderful. Thank you Dr Nemeh, Thank you Philip.